The National Flood Insurance Program (NFIP) is a federal program administered by the Federal Emergency Management Agency (FEMA) that issues flood insurance, creates Flood Insurance Rate Maps, and seeks to reduce flood hazards through flood mitigation. Where are the Flood Insurance Policies in the US? Only 390 counties in the US hold about 90% of the National Flood Insurance Program (NFIP) flood insurance policies. To put that in perspective, there are about 3,144 county and county equivalent areas in the US. 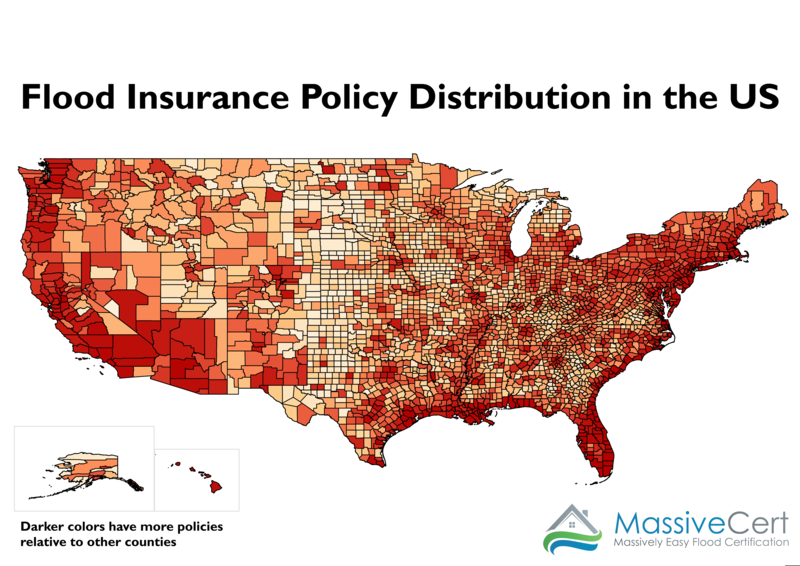 Therefore, about 12% of the counties hold about 90% of the flood insurance policies. And there are about 169 million people living in those counties, which is 54% of the US population.